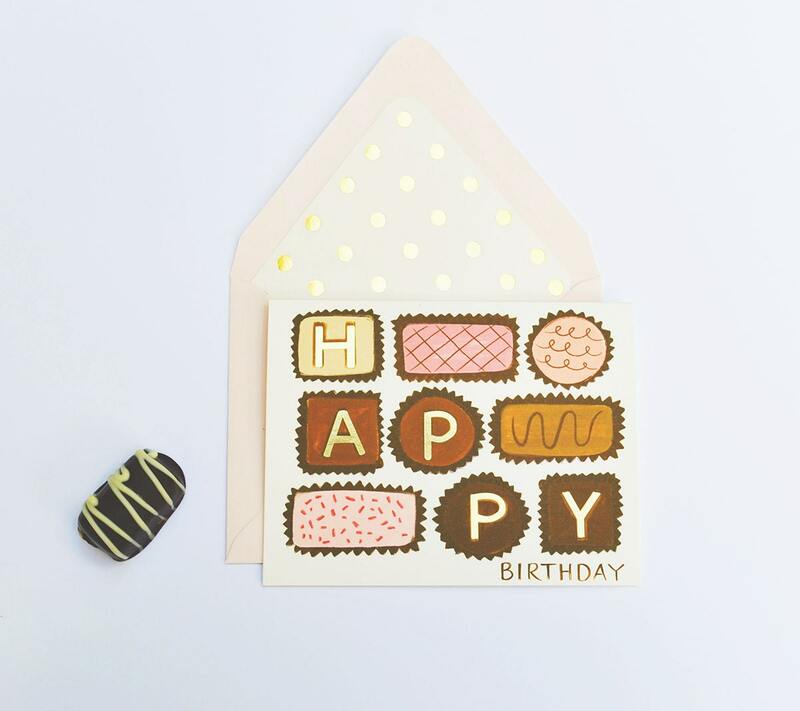 Happy Birthday in Gold foil layered over some yummy decorated chocolates. The letters of H A P P Y in gold. Birthday in brown. Colors and chocolate browns, pinks.